A city that’s over 100 years old, Clearwater is known for, well, it’s clear water. 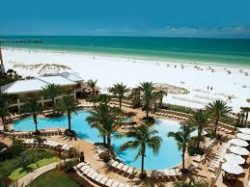 Located in the Tampa Bay area, Clearwater has crystal clear sandy beaches and gorgeous sunshine, making it a perfect destination all year round. Clearwater Beach offers visitors and residents the perfect display of Florida’s natural beauty, while the Clearwater Marine Aquarium helps preserve Clearwater’s aquamarine life. Some other favorite locations and activities in Clearwater are Pier 60, Honeymoon Island State Park, Capitol Theatre, Murielle Winery, Ruth Eckerd Hall, Big Storm Brewing Company, Sky Surfing Aviation, and Spectrum Field. Clearwater has everything you could want from a Florida destination. Howl2GO by Howl at the Moon is the premier name in Dueling Piano entertainment. Bring our incredible performance to your event in Clearwater at any venue. When you bring Howl2GO to Clearwater, you can be certain you’re getting the true Howl at the Moon experience, and with that comes the assurance you are booking only the best dueling piano performers in the country. Our fun, energetic performers are perfect for all events anywhere in the Clearwater area. Howl2GO Dueling Pianos by Howl at the Moon brings only the absolute best entertainers to your event. Whether you’re planning a corporate event in Clearwater, a wedding or private party at your home, we’ll deliver customized entertainment leaving you and your guests dancing and singing along all night. We are the first choice for all types of school, church and charity fundraisers and we ensure all our songs and material is suitable for everyone in attendance. Telling your guests in Clearwater that Howl at the Moon is providing the entertainment, is a sure fire way of attracting more people to your event! 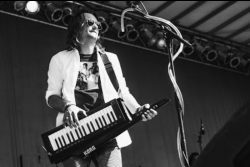 Howl2GO is the only dedicated Dueling Pianos company in Clearwater and our team works tirelessly to ensure your event is perfect. Our production team will deal directly with your Clearwater venue and, in conjunction with our Wedding Specialist, sales director and our amazing piano players, create a customized event just for you. Our Howl at the Moon musicians will take you guests’ requests live just as they do in one of our many nationwide venues. We are a perfect choice for your wedding – we keep numerous couples in Clearwater and their guests dancing all night, as well as taking care of all your ceremony, announcements and special family dance needs. Don’t risk booking a local fly-by-night company that may not even still be in business when your wedding date comes around, nor one that hires freelance players. Howl at the Moon has been rocking since 1990 and our reputation precedes us. We have a dedicated reviews page so you can read testimonials from hundreds of our thrilled clients in Clearwater. Our Facebook page features regular updates, and following us on Instagram and Twitter means you’ll stay up to date on where we’re playing next near Clearwater FL.